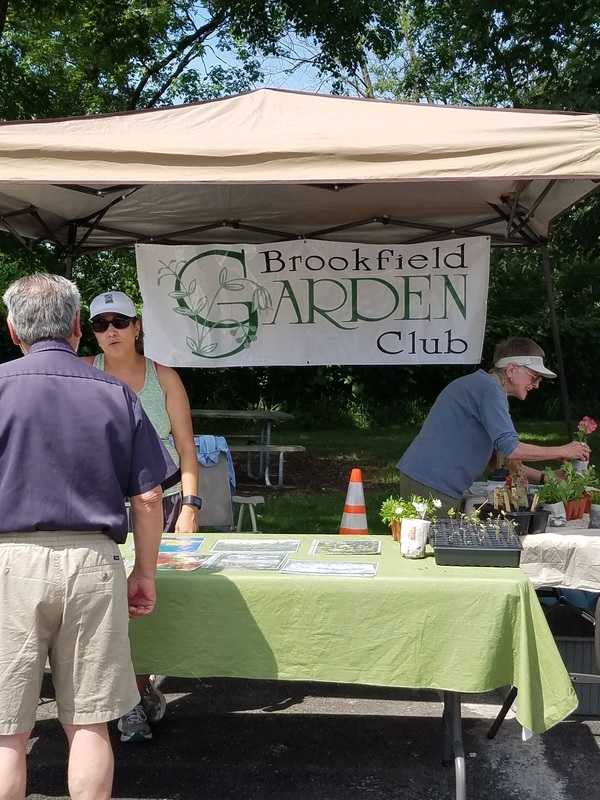 ﻿The Brookfield Garden Club once again is participating in the 2016 Brookfield farmer's market. The Brookfield Farmer's market runs through October 15 from 8:00 am to 1:00 pm in the Village Hall's west parking lot at 8820 Brookfield Avenue, Brookfield, IL 60513. The Brookfield Garden Club hosts a tent the 3rd Saturday of each month and is organized under the direction of Kristin G. The Farmer's Market provides the Brookfield Garden Club an opportunity to reach out to the community. This year the theme under our tent is "Ecology in the Garden". 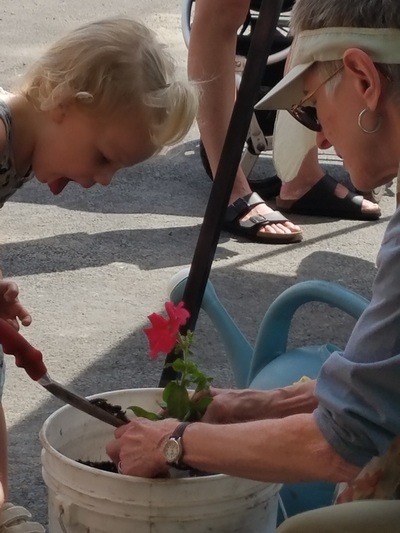 During the farmer's market, Kristin enlightens the community on topics covering our ecology - activities and materials are always at hand. September 17, the topic will be composting and amending soil. Due to the weather at the last Farmer's market, this topic was moved to September. It's a great topic for all ages. October 27, understanding invasive species (not native to a specific location, which may have a tendency to spread). October 27, we will turn our attention to beneficial insects (not all insects are harmful and each has a job) and the benefits of native plants (a plant that occurs naturally in a region, ecosystem, or habitat. June 18, Kristin reminded the community the wonderful green spaces the Village of Brookfield has to offer. Guests visiting the tent where treated to making "rot pots". July 23, the focus was on water conversation, which included a water shed model. August 20 - cancelled due to weather.